The CTIA Wireless Foundation has been a proud supporter of the Text4baby service since its inception. The Foundation continues to facilitate donated text messages from its participating mobile carrier members, enabling the Text4baby service to be free to mobile subscribers. 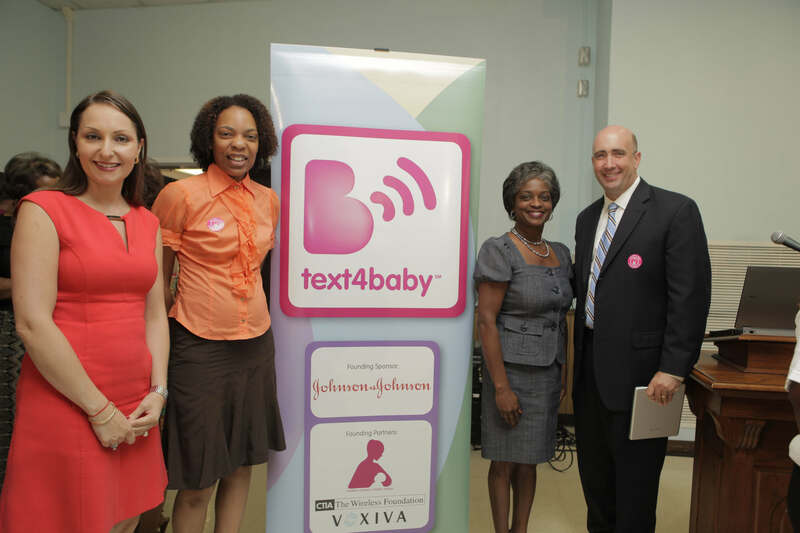 Acting FCC Chairwoman Mignon Clyburn helped the CTIA Wireless Foundation announce the extension of donated text messaging to the Text4Baby program on August 5, 2013 in Columbia, South Carolina. CTIA Wireless Foundation (www.wirelessfoundation.org) is a 501(c)(3) nonprofit dedicated to developing and supporting initiatives that use wireless technology to help American communities. The Foundation’s innovative programs benefit consumers in areas including education, health, safety and the environment. The Foundation was formed by CTIA-The Wireless Association® member companies in 1991. Learn more about the CTIA Wireless Foundation by visiting http://www.wirelessfoundation.org or www.facebook.com/TheWirelessFoundation. Follow the CTIA Wireless Foundation on Twitter @WirelessFdn.